Some dub it Mommy Brain, others call hormone reconfiguration or chalk it up to sleep deprivation, but there are more and more studies that show big changes to your brain during pregnancy and after having children. When I had my daughter, I noticed that I felt "different". My personal experience with with both my children was that the pregnancy felt generally rough with brief moments of relief and then something resembling elation after they were born. I remember both times, moments after giving birth, feeling exhausted and marvelling at the beautiful baby in may arms, thinking that now I would finally start to feel "normal" again. But the truth is that I was forever changed. And the gift I have been able to give myself and the one I want to give to you since realizing it is to completely let go of the idea that you or I will ever get back to the pre-pregnancy versions of ourselves. To a new mother, at first, that realization can feel very disempowering. Before you read this, make sure you do the exercise and answer the four questions I asked you yesterday. Here is a video recap of what I asked from the Alive With Purpose Facebook Live just in case you want a refresher: If you sat with these ideas and then you probably have a good idea of the reasoning behind why you are in your relationship in the first place and whether or not you would want to be in it if all your expectations were being met by you and not them. So Should You Stay or Should You Go? The answer is, you should do whatever you want to do as long as you aren't doing it because you believe that it is someone else's job to make you happy. No one else can ever make you happy and it isn't their job to. There isn't a perfect partner out there that is going to do all the things you like in exactly the way you like them. And if there were, I bet your brain would find a problem with how perfect they are. How do you know when it is time to break up with your partner? I get this question from my clients often. Sometimes it isn't about a romantic partner, it could be a business relationship, a friendship or a mentor-mentee agreement. If you have not yet listened to my podcast on How to Build a Dream Relationship or downloaded my free workbook, then I highly recommend you check out these free resources for a more in-depth look at the behind-the-scenes playbook you are always checking your relationship against to see if it is "good" or not. Some of my clients go through this process and will say: "I totally get that my partner is an adult and can do whatever they want. I totally get that my list of expectations for them is about me and not them. BUT what if they aren't doing the things I like anymore? When is enough enough and when should I break up with them?" Connecting with your partner especially after having children is not always easy to do. I love my children with all my heart. They are beautiful little beings and most of the time they are a joy to be around. But there are some days and some phases of their growth, when I wonder if one or both of them will ever stop crying/screaming/doing the exact opposite of what I am asking them to do. Those days feel rough and often when Steve comes home, I am just done. All I want to do is go sit in the bathtub with a few candles and a book alone for a few hours. As much as I try to remember that my kids are doing exactly what learning, growing, healthy children do it takes effort not to feel like I am failing as a parent. Those days are hard as every parent knows, but while many of us focus and worry about how our relationship is going with our children, it is easy to hit pause on your relationship with your partner. I get it. You feel exhausted and after singing the same five songs or answering the same five questions all day, you might want to veg out instead of have a meaningful conversation. You might lie down with your kids and bedtime and routinely fall asleep for hours. Or maybe, you feel the seeds of resentment and spend all your time together going back and forth with your spouse complaining about why your day was more difficult than theirs. How Can You Change This? Love is a wonderful thing. Once you decide to commit and build a life together it's supposed to be sunshine and unicorns, right? You may have heard the statistics that in North America almost half of the couples who marry will at some point divorce, but you don’t start out thinking it will ever be you. After all, you love this person, you know this person and you want to build a life together. Most of my coaching clients who report struggling in their marriage tell me sometimes they land in an argument and have no idea how they got there. One minute they are talking to their husband and the next, a comment is made that snowballs the conversation from bickering to yelling, from a small disagreement to three days of not talking to one another. In order to stop the argument before it starts, you must first understand exactly why it is you fight with your partner. Today I wanted to talk to those of you who have been around here for a long time. Recently, I asked my community to share with me the challenges they are currently experiencing in their marriage or long-term relationship. "He made me so mad/sad/annoyed" is a lie that is destroying your relationship. Did you know that when you are “mad at someone” it isn’t because of what they did? 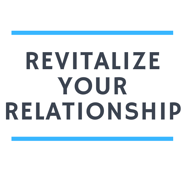 I know you probably aren’t going to like hearing this, but it is actually the best news I can give you when it comes to restoring your relationship. And its true whether you are in a marriage, a business partnership or basically any other encounter you can have with a human being. Here is what I mean. Let’s imagine your husband is supposed to be home at 6pm so that you can go out for dinner with a friends. At 5:45 he texts you, still at work and says he is going to be a few minutes late. At 6:25 he walks in the door and there you are ready to go at the door, red hot with rage. You walk past him without a word and race out to meet your friends but you are now in a bad mood and spend the first hour of your “fun dinner out” complaining to your friends about him. Now, I know that some of you reading this are thinking; “Well, YEAH I would be mad and I have every right to be!” It’s true you have every right to feel anything you want. But when I coach clients a question I often ask them is “Why would you choose to feel that way?” We learned this lie that other people can make us feel things by their words and actions from a young age. If a child on the playground laughs at you and then you have a negative emotion you were likely taught that their laughter “made you feel bad”. This line of thinking is a big part of our culture and a very hard concept to challenge, but I want to do it because this is the key to making every single relationship in your life better. Relationships often start as one thing and transform into something else entirely. For some couples, their bond strengthens and grows with time. But for others the bond becomes thin and they grow apart. Many of my clients come to me and tell me the main problem in their life is "stress and overwhelm" and as we dig a little deeper through the challenges of navigating things like their career or parenthood many of them tell me that their marriage is struggling too.